*) abgesehen von Clinton, Albright und ihren Hintermännern! Rwanda: Half of the Truth is a Whole Lie! Twenty Years of Brazen Disinformation! On Monday 7th of April the commemorations on the „Genocide“ in Rwanda took place. Putting Genocide in quotation marks might give me the smell of a „denier“ of unspeakable human sufferings, but continuing to read this article with an open mind will drive that smell away. Yes, twenty years ago something terrible happened in Rwanda and unspeakable crimes were perpetrated on hundred thousands of innocent people. But when people speak of the „Genocide“ in Rwanda they always mean genocide on the Tutsi! Yes, social divisions errupted into a monumental slaughter, not by itself but by an invasion and a terrorist shooting down of a plane! And additionally to 280,000 Tutsi victims there where about 750,000 Hutu victims to be mourned. Like all continents Africa – the more as it is the cradle of Mankind – has its history of peoples migrations. 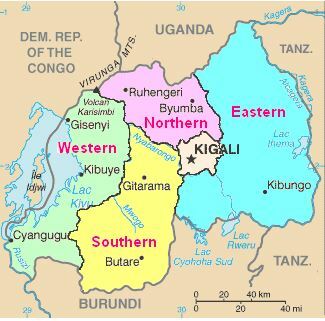 Many regions saw a mixing but also superimpositions by very different ethnic entities and different economic systems, such is the case with the Central African Inter-Lake region, i. e. Uganda, Rwanda and Burundi. The oldest identifiable ethnicity are the Twa, a group of short statured hunters and gatherers. Since more than 3,000 years Bantu speaking agriculturists immigrated into the region, by and large constituting the Hutu. During the 14th Century cattle nomads came, the Tutsi, establishing feudal empires (Nomads being used to competition over water and grazing grounds were always nearer to the art of war and thus dominated often when confronted with agriculturists). Like the Twa they adopted the language of the Hutu. In case of mixed marriages the children belonged to the fatherly group. Feudalism grew even more repressive under colonialism. The Germans supplemented the division between the tall and more sharp nosed Tutsi on one side and the Hutu on the other side by a racist concept ascribing „racial superiority“ to the Tutsi, a concept which was taken over by the Belgians. Though the division had become more and more a social one instead of a physical one the racist concept pleased the onliving claim for power of the Tutsi aristocracy. 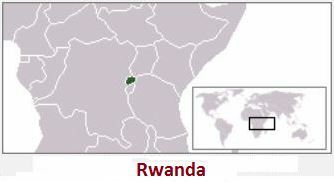 Under German and Belgian colonial rule the two Tutsi kingdoms Rwanda and Burundi were administered together as Ruanda-Urundi. 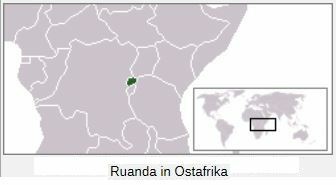 In 1956 Ruanda gained Autonomy. In 1961 rising tensions forced a referendum whether Monarchy should last. This resulted in Ruanda gaining independence as a Republic in 1962 which ended the dominance of the Tutsi (13%). The loss of power frustrated the Tutsi nobility and made many leave the country and moving to Uganda. Similar tensions grew higher in Burundi resulting in a massacre in 1972 on the Hutu majority leaving about 250,000 of them dead. Coups and assassinations accompanied the further conflicts. 1993 a Hutu, Melchior Ndadaye, was elected President but murdered in October by Tutsi soldiers. 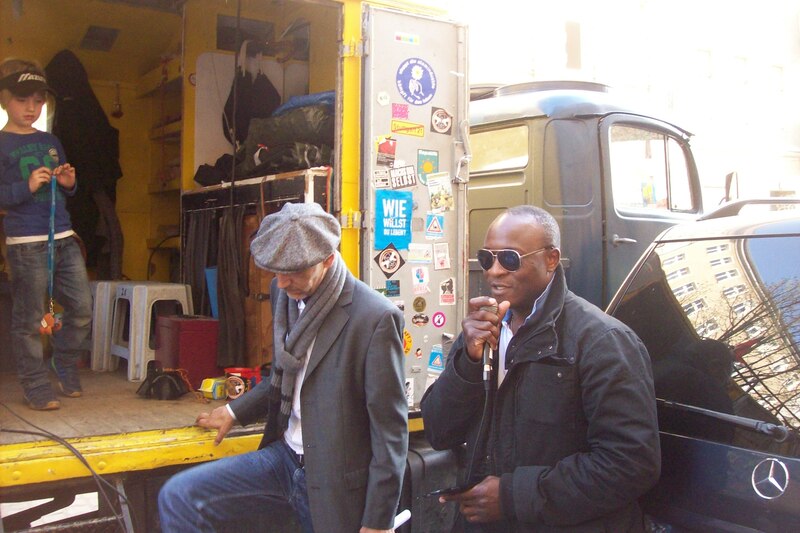 He was followed by Cyprien Ntaryamira who was elected by the Parliament. Nobody has called the mass killing of Hutu in Burundi in 1972 a genocide! In Rwanda the Minister of Defence, Juvénal Habyarimana, seized power from his cousin Grégoire Kayibanda in 1973. The country regained some stability. To be rightfully called a US agent (http://www.whale.to/c/paul_kagame.html) he was part of a first attempt to invade and reestablish Tutsi reign in Rwanda by the RPF and Ugandan forces in 1990. Though leaving many people dead and spreading terror in the North of Rwanda and initiating streams of refugees they were thrown back by the Rwandan Forces (with French assistance, France wasn´t yet integrated in the US strategy and following its own interest). But a brutal guerilla warfare mostly against the rural Hutu people was continued by the RPF. The efforts to end the conflict resulted in the Arusha accords. There are tendencies to smear Habyarimana with having sabotaged it. 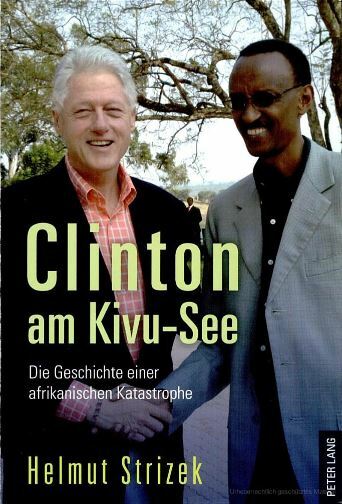 The former German diplomat Helmut Strizek demonstrates in his book „Clinton am Kivu-See“ (http://library.fes.de/pdf-files/ipg/2011-3/13_rezensionen.pdf) how baseless those accusations are. It was the RPF resorting to bloody violence again and starting another invasion. This step was accompanied by the shooting down of the plane with the Rwandan President Habyarimana and the Burundian President Ntaryamira on the 6th of April 1994. There is plenty of evidence that this was done by the RPF with support from the US and the Ugandan president Museweni as Strizek and others show. The war of aggression waged by the RPF did not only cost many Hutu lifes but provoked also violence against many Tutsi being suspected of collaborating with the invaders. No doubt that terrible crimes were also committed on innocent Tutsi. But there is evidence that agent provocateurs of the RPF were pushing those atrocities. One should imagine a fascist white organization trying to reestablish Apartheid in South Africa. Surely the masses would run wild from fear. But the majority of the victims were not Tutsi. After all Strizek and others estimate the relation of Tutsi victims to Hutu victims of 280,000 to about 750,000 (Strizek 2011, p. 148). But the RPF had a „trick“: they counted who ever they could as Tutsi, where this wasn´t possible the victims were counted as „moderate Hutu“ slaughtered by „Hutu extremists“. With the victory of the RPF in Rwanda the slaughter didn´t end at all. Many more Hutu were butchered. Hundred thousands of them had fled to those day Zaïre (now Democratic Republic of the Congo ). Congo had a terrible history of colonial murders and plunder (http://tinyurl.com/b5jown9). After having killed the visionary Lumumba they´d installed their puppet Mobutu Sese Seko who by the time run “out of order” and ruined the country so far that even the exploitation of its resources became difficult for the West. Portraying the refugees as a threat the RPF-Rwanda and Uganda invaded Zaire, the RPF installing Laurent-Désiré Kabila as the new head of Congo in 1997 in the socalled First Congo War. But Kabila remembered that he´s Congolese and demanded that foreign troups should leave the country and revised a number of agreements. Rwanda created a new rebel military movement called the Rassemblement Congolais pour la Democratie (RCD) to fight Kabila, Uganda formed a new rebel movement called the Movement for the Liberation of Congo (MLC), headed by the Congolese warlord Jean-Pierre Bemba thus starting the Second Congo War. Angolan, Zimbabwean and Namibian military supported the central government of Kabila. Hundreds of thousands Hutu refugees were butchered by Rwandese forces. But the bulk of the victims were Congolese. 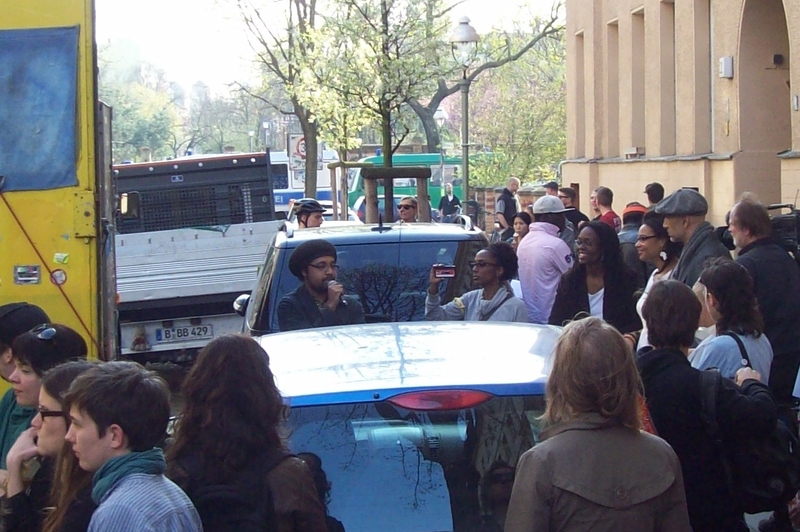 In 2001 Laurent Kabila was assassinated under strange circumstances (http://tinyurl.com/kvgua3k). His son Joseph Kabila followed him and brought in direct “international” involvement, the MONUC, now known as MONUSCO, African armies exept the Rwandan had left the country by June 2003. Direct Western presence was established. How far elections in 2006 and 2011 (wich left Kabila in office) can rightfully be called true elections is questionable. Questionable is also whether the conservatives estimations of the up to 5,400,000 victims are “sufficient”. According to the International Rescue Commitee only up to 2004 up to 3,900,000 people died in Congo (http://tinyurl.com/l27e8jl) It appears realistic to number the victims until today to the extend of those having died under King Leopold II of Belgium, 8 to 10 million! This is a true Genocide on the Congolese people organized by the Kagame regime and its US backers! Colonialism in Congo is Back! Much of the situation in Congo reminds of China before its revolution, since no one can talk of a souvereign country. There is no perspective and security for its inhabitants. Western countries and local neighbours (in this case mostly acting on behalf of the West) are plundering the rich resources (Coltan for computers, copper, Uranium, Diamonds and Gold). 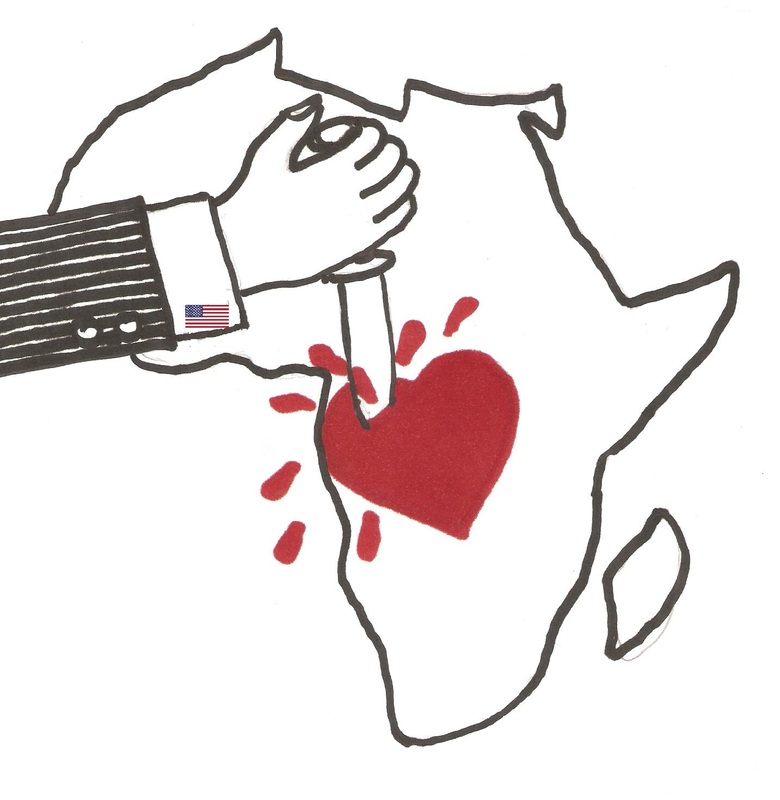 Rwanda´s Kagame regime is using “rebel organizations” like the March 23 Movement headed by warlords to organize slave labor for the extraction and channeling the riches through its own country, creating a pseudo boom at the price of the destruction of Africa´s heart, the Congo! 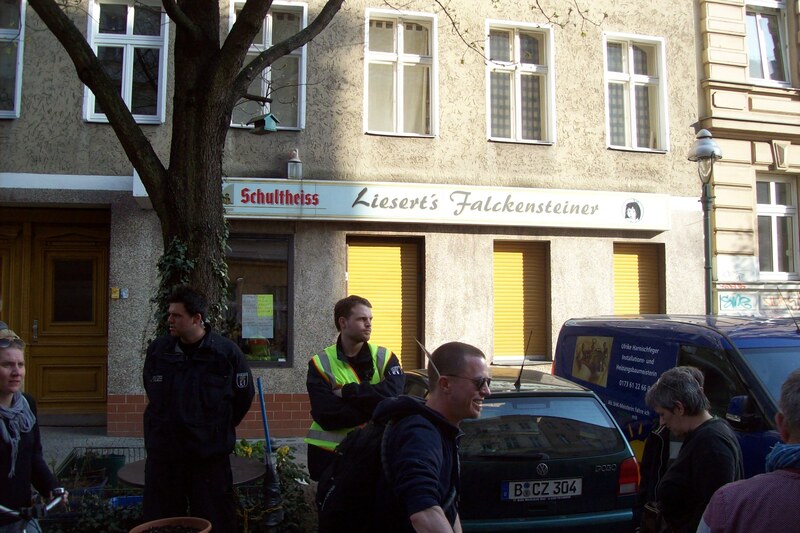 Since long Western politicians are misusing the unbelievable German crimes as a legitimation for more crimes. Israel´s racist and colonialist occupation policy claims to prevent another Holocaust, with massive backing especially by the US. And that worked to a certain extend since even some leftist movements are befuddled by such claims. 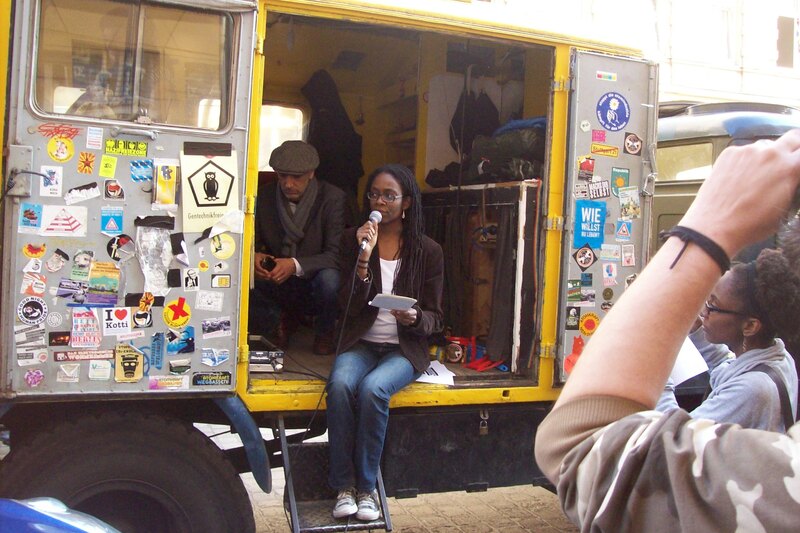 Those forces did a lot to split anti-racist, anti-imperialist and anti-capitalist movements. Western mainstream media run high in propaganda and “rewriting” History, reducing Orwell´s “1984” almost into a good night story. Whenever anti-imperialist movements were talking about Fascism in Western actions those forces were denouncing them as relativating Nazism. But no problem for Western politicians to equate unloved personalities of opposing states to Hitler, covering their wars of aggression as some sort of repetition of the Second World War. 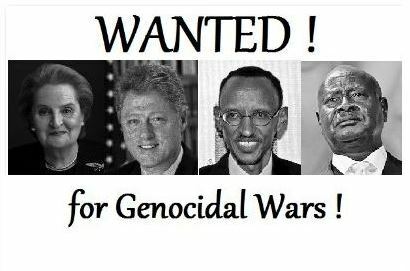 In fact the Rwanda “Genocide” was the “Masterpiece” of the US Power Elite. They pushed the powerthirsty Tutsi aristocracy to a war of aggression, leading to about a million dead people, claimed it to be the attempted genocide on the Tutsi and declared Kagame and his military bandits of the RPF to be the saints saving the Tutsi within Rwanda (for whom in reality they didn´t care at all). The next step was to declare the Tutsi the “Jews of Africa”, a comparison so far from historical reality that one would have to laugh if the case wouldn´t be that sad! Some French “Revisionists” even went so far as to dubb the Hutu forces trying to resist the RPF invasion to be part of a “Nazisme Tropical” (Jean-Pierre Chrètien in Libération on 26th April 1994). A ready made plan of the Habyarimana government to extinct the whole Tutsi population was constructed by Western ideologists. Germans might have felt strange relief, “we´re not the only ones”, Westerners in general were attracted by old colonial stereotypes: those African barbarians have to be saved from their savage emotions, the white man has to save Africa from itself! Also the onliving racist concepts of the “noble Tutsi” might have done their part, not to forget Hollywood productions like “Hotel Rwanda “. But many times the polititians found more tactful expressions, “the international community”, those clinging to “Western values” have to do the job (of savin Africa)! And the bourgeois concept about Fascism was revived, portraying Fascism not as a means of capitalist policy under pressure in order to disciplin the workers, but claiming it to be a tendency of the dump masses, envying the wealthy people and getting hysterical. For those who wanted to see, it became soon clear, the Conglese resources were the aim. 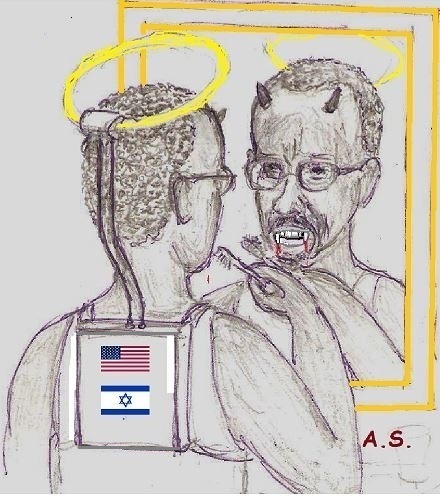 But having established the concept of the African Holocaust, the Tutsi turned into the Jews of Africa, thus turning Kagame´s RPF-Rwanda into Africa´s Israel, who would dare to contradict in the World´s diplomatic discussions?! Every morning President Kagame meets the Genocidaire No One! Indeed mankind has to mourn about a million of dead people in Rwanda, many of them innocent Tutsi. But we shouldn´t allow political gangsters to misuse the innocent Tutsi victims to cover the majority of the the Hutu victims and also not allow them to be misused to cover 8 to 10 million dead Congolese! We should mourn the victims of the Congolese Genocide as well. And the evil doers are Clinton, Albright, Museveni and last not least Kagame and their RPF gangs! Kagame and his entourage are the products of US Power Elite´s socalled “Soft Power Fraction” (http://tinyurl.com/bne6lnr) and their executive force, the Clinton administration of those days. He is clever enough to remeber Mobutu´s fate and to know that US agents are not safe forever. Having committed so many crimes which can not all be hidden forever from world public he´s preparing to build a “life boat” just building and strenghening ties also to the Neocons via AIPAC (http://tinyurl.com/lhocot3). Gestern, am Montag, dem 7. April, fanden in Ruanda die Gedenkfeiern für den „Völkermord an den Tutsi“ statt. Diese Anführungszeichen werden manchen Leser zutiefst erschrecken und mir den Geruch des „Genozid-Leugners“ im Sinne der Leugnung von unmenschlichem Leid einbringen. Wer mit offenem Geist weiterliest, bei dem wird der Geruch sich schnell verflüchtigen! 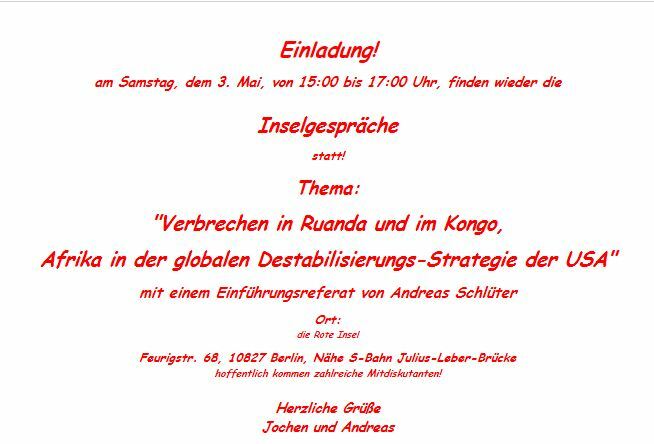 Ja, vor zwanzig Jahren ist es in Ruanda zu unglaublichen Verbrechen gekommen, an Hutu und an Tutsi! Gesellschaftliche Teilungen sind durch eine Invasion und einen Akt des Luft-Terrorismus´ in eine unbeschreibliche Gewaltorgie gemündet, der wohl 280.000 Tutsi – und 750.000 Hutu – zum Opfer gefallen sind. Wie eigentlich alle Kontinente so hat erst recht Afrika – als Wiege der Menschheit – eine bewegte Bevölkerungsgeschichte voller Völkerwanderungen hinter sich. Viele Regionen haben eine Vermischung, aber auch gesellschaftliche Überschichtung durch unterschiedlichste Ethnien und Wirtschaftsformen erlebt. So auch die „Zwischenseenregion“, sprich Uganda, Ruanda und Burundi. Die älteste identifizierbare Bevölkerungsschicht sind die ursprünglich wildbeuterischen kleinwüchsigen Twa. Seit etwa 3000 Jahren wanderten bantusprachige, Ackerbau treibende Völker in die Region ein, von denen sich die im Großen und Ganzen die Hutu herleiten. Im 14. 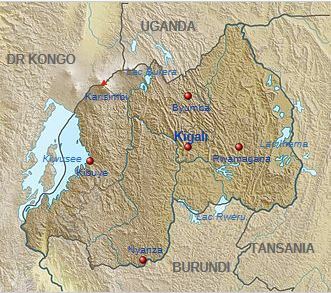 Jahrhundert errichteten einwandernde Rindernomaden, die Tutsi (die ebenso wie die Twa die Sprache der Hutu annahmen), Feudalreiche in der Region. Bei Heiraten zwischen den Gruppen entschied die väterliche Abstammung über die Gruppenzugehörigkeit. Der Feudalismus verschärfte sich zusätzlich im Kolonialismus. Die Deutschen „unterfütterten“ die abstammungsmäßigen Unterschiede zwischen den im Mittel hochgewachsenen und „scharfgesichtigen“ Tutsi und den Hutu rassistisch, was auch die Belgier fortführten. Auch, wenn die Unterschiede zusehends die einer sozialen Kategorie geworden waren, spielte dies dem fortlebenden Machtanspruch der Tutsi-Aristokratie in die Hände. Unter der deutschen wie belgischen Kolonialherrschaft waren die beiden Tutsi-Königreiche Ruanda und Burundi als Ruanda-Urundi gemeinsam verwaltet worden. Das Königreich Ruanda erhielt 1956 die Autonomie. Zunehmende Spannungen erzwangen 1961 eine Volksabstimmung über die Monarchie und das Ergebnis führte dazu, dass Ruanda im Juni 1962 als Republik unabhängig wurde, damit war die Herrschaft der Tutsiminderheit (13%) vorerst beendet. Der Machtverlust frustrierte einen erheblichen Teil der Tutsi-Aristokratie und brachte sie dazu, das Land zu verlassen und insbesondere nach Uganda zu gehen. Im Nachbarland Burundi führten die analogen Spannungen der weiteren Jahre 1972 zu einem Massaker an den Hutu, das wohl 250.000 von ihnen das Leben kostete. Putsche und Morde begleiteten die weiteren Auseinandersetzungen. Nachdem sein Vorgänger Melchior Ndadaye (Hutu) ermordet worden war, wurde dessen designierter Nachfolger Cyprien Ntaryamira (ebenfalls Hutu) Präsident Burundis. Festzuhalten ist, dass in der Politik niemand von den Ereignissen von 1972 in Burundi als von einem Völkermord an den Hutu spricht. In Ruanda hatte Juvénal Habyarimana (Hutu) als Verteidigungsminister 1973 in einem Putsch die Macht von seinem Cousin Grégoire Kayibanda übernommen, was dem Land relative Stabilität bescherte. Tatsächlich sann die exilierte Tutsi-Aristokratie aber darauf, wie ihre alte Herrlichkeit wieder herzustellen sei. In Uganda wurde die Ruandische Patriotische Front (Rwandes Patriotic Front, RPF) gegründet. Ihren Aufbau betrieb wesentlich Paul Kagame, Mitglied der Tutsi-Aristokratie und bald Chef des ugandischen Geheimdienstes. Seinen „letzten Schliff“ erhielt er in einer militärischen Eliteakademie der United States Army, amCommand and General Staff College in Fort Leavenworth. So „präpariert“ und wesentlich als „US-Agent“ zu bezeichnen, unternahm er mit der RPF und der ugandischen Armee 1990 einen ersten Invasionsversuch nach Ruanda. Dieser wurde mit französischer Unterstützung zurückgeschlagen (was Frankreich sicher nicht selbstlos tat), aber die brutalen Angriffe gingen bis 1993 weiter, die Hutu-Mehrheit in Ruanda zusehends in Panik versetzend. Sehr detailiert werden die Vorgänge in einem Buch von Helmut Strizek, „Clinton am Kivusee“, beschrieben (im Rahmen eines Artikels auf diesem Blog beschreiben: http://tinyurl.com/5r5q6dn). 1993 kam es zum Arusha-Abkommen, das am 4. August in der tansanischen Stadt Arusha unterzeichnet wurde. Die Behauptungen, Habyarimana hätte die Regelungen des Abkommens sabotiert, entlarvt Strizek sehr eindringlich in seinem Buch. Erneut setzte 1994 die RPF zur Eroberung Ruandas an. Dann kam es am 6. April 1994 zu einem perfiden Attentat: die zwei Staatschefs Habyarimana und Cyprien Ntaryamira (Burundi) wurden zusammen mit vielen anderen hochrangigen Funktionsträgern mit an Sicherheit grenzender Wahrscheinlichkeit mit Wissen und Billigung (und wohl Zutun) nicht nur von Museveni, sondern der USA abgeschossen. Der Angriffkrieg der RPF kostete nicht nur von vornherein vielen Hutus das Leben, sondern nahm bewusst die einsetzenden panikartigen Ausschreitungen an Tutsi in Kauf. Es gibt sogar Anzeichen dafür, dass Kagames RPF die Ausschreitungen gezielt anheizte, um ihren Machtanspruch vor der Welt umso nötiger erscheinen zu lassen. Die schon durch Fluchtelend und Lagerpein aufgepeitschten Hutu haben sicher oft unmenschlich gehandelt, wenn sie jemanden in die Finger bekamen, den sie der Beziehung zu den Angreifern verdächtigten. Aber man stelle sich einmal vor, in Südafrika würde sich eine gut bewaffnete Truppe von Apartheidsfaschisten anschicken, die Macht zurückzuerobern, und würde dabei auf breitere weiße Unterstützung treffen, der panische schwarze Volkszorn würde kaum noch zwischen beteiligten und unbeteiligten Weißen unterscheiden! Aber es ist wohl nicht so, dass die Mehrheit der Opfer Tutsi gewesen wären, so furchtbar viele, wie es waren. Es gibt gute Gründe zu vermuten, dass die Opfer-Relation etwa 280.000 Tutsi-Opfer zu 750.000 Hutu-Opfern betrug (Strizek 2011, S. 148). Dabei ist natürlich die Einteilung eine recht künstliche, da es nicht wenige Menschen mit Abstammung aus beiden Gruppen gab, aber die Zugehörigkeit “patrilinear” bestimmt wird. Da hatte die RPF einen “wunderbaren” Trick: erstens wurden gerne tote Hutu als Tutsi gezählt, und wo das nicht möglich war, waren sie eben „gemäßigte Hutu“, die von “Hutu-Extremisten” getötet worden waren, sozusagen “Tutsi-ehrenhalber”. Nun hatte das Morden nach der Machtübernahme der RPF keineswegs ein Ende. Viele Hunderttausende von Hutu, die in den Osten des damaligen Zaire (ehemals „Belgisch-Kongo“, nach Mobutu ”Demokratische Republik Kongo”). geflüchtet waren, wurden von der RPF als Bedrohung empfunden, zumal die “Weltöffentlichkeit” nach Rückführung der Flüchtlinge verlangte. Das komplexe und verwirrende Geschehen kann hier in der Kürze nicht dargestellt werden, aber es fielen nicht nur hunderttausende Hutu den mörderischen Maßnahmen Ruandas zum Opfer, sondern der Ostkongo geriet zum Nutzen westlicher Konzerne mit seinen ungeheuren Rofstoffen, allen voran dem begehrten Erz Coltan, weitgehend unter ruandische Kontrolle. dabei wurde von US-Seite auch erwogen, den Osten Kongos abzuspalten und Kagame sozusagen gänzlich auszuliefern. Das sich Ugandas Muzeweni und Ruandas Kagame dabei zunehmend über die Beute entzweiten, ist eine zusätzliche “Pikanterie”. Jedenfalls ist die durch die US-gestützte und inspirierte Destabilisierung und teilweise Besetzung des Ostkongo in drei ausgedehnten “Kongo-Kriegen” für Millionen von Toten, ungezählige Vergewaltigungen und das Massenelend der unter Warlords sich abplackenden Slavenarbeiter für das Coltan der westlichen Handys verantwortlich. Die Kapitaleigner reiben sich die Hände! “Von 1998 bis 2004 kamen gemäß Angaben des International Rescue Committee 3,9 Millionen Menschen im Kongo ums Leben, die Mehrzahl allerdings aufgrund von Krankheit und mangelnder Versorgung mit Lebensmitteln. Nirgendwo sonst starben seit dem Zweiten Weltkrieg so viele Menschen in einem so kurzen Zeitraum”. In den zehn Jahren seiher sind Abermillionen toter Kongolesen dazugekommen. Strizek ringt in seinem Buch sehr ehrlich um eine Deutung der westlichen Motive, insbesondere der der US-Politik. So ist sein Schluss sicher richtig, dass auch das Ziel, den Sudan als “Gefährder” des damaligen US-Satrapen Mubarak und ihrer Nahostinteressen zu destabilisieren und einen “Regime-Change” zu erreichen, eine gewichtige Rolle spielte, sicher nicht falsch. Ich denke aber, man kann die Triebkräfte letztlich nur auf Grundlage einer umfassenden gesellschaftlichen Analyse der wirklichen Macht in den USA begreifen, hier weise ich auf meine Darstellung in http://tinyurl.com/3fbepaw hin. Die US-Regierungen werden wahrscheinlich manchmal erst im Laufe der Entwicklung von der “wahren Macht” hinter ihnen auf “den richtigen Weg gebracht”. Dafür „bedarf“ es oft bestimmter tatkräftiger Personen, die wissen, wo das Imperium “hin muss”. Als eine solche Figur tritt für mich in diesem Buch wiederholt Madeleine Albright hervor, die ja auch den kadavergrünen Josef Fischer immer wieder effektiv “ans Händchen” nahm! Politik und commerzmedialer Mainstream haben nach Nahost und dem Balkan (neben vielen anderen Beispielen) und vor Libyen auch die Geschichte des östlichen Zentral-Afrika umgeschrieben, und dies in einer Weise, die “1984″ in den Schatten stellt! Wie sehr hat man sich in der Darstellung “Afrikanischer Barbarei” gesuhlt, in Deutschland sich gar noch heimlich durch “Afrikanische Endlösungen” entlastet gefühlt, als man umfänglich die (sicher) zahllosen Tutsi-Opfer des Ruandischen Bürgerkrieges durch die medialen Straßen schleifte! Die „Juden Afrikas“ hat man die ostafrikanischen Rindernomaden, die vor Jahrhunderten in die Seenregion Ostafrikas einwanderten und dort eine Reihe von Feudalreichen gründeten, genannt. Und es passte famos, so, wie man den selbsternannten “Sachwaltern” des Erbes von sechs Millionen durch Deutschland ermordeter europäischer Juden in der israelischen Politik einen Blankoscheck zur Unterjochung der Palästinenser und der Terrorisierung der Nachbarstaaten ausgestellt hat, so konnte man auch den vermeindlichen ”Beschützern” der Tutsi, dem Regime von Kagame und seiner RPF einen Blankoscheck zum Massakrieren von großen Teilen der Hutu-Mehrheit und der Menschen im Ost-Kongo ausstellen. Wer hätte nach diesem Vergleich noch gewagt, was dagegen zu sagen?! Da rollen sich aber einem historisch bewussten Menschen beim Vergleich der Situation von Juden in Europa und den Tutsis die “Zehennägel auf”, wenn man sich in Erinnerung ruft, welche jahrhundertlange Odyssee der Entrechtung, Beraubung, Verfolgung und Ermordung die Juden Europas hinter sich haben, nur von ihren Nazi-Mördern zu “heimlichen Herren Europas” erklärt, sozusagen als geschichtsklitternde “Dornenkrone” auf die gepeinigten Häupter gedrückt! Nun kann man im Zusammenhang mit den westlichen Untaten der übrigen Welt gegenüber (gerade in Afrika) der “Einzigartigkeitsthese” im Zusammenhang mit der Ermordung von sechs Millionen Europäischer Juden skeptisch gegenüberstehen, wie das z. B. Norman Finkelstein tut. Und dazu hat er einigen Grund, wenn man bedenkt, dass allein der Leopoldsche ”Privat-Kolonialismus” im Kongo acht bis zehn Millionen Kongolesen das Leben gekostet haben mag (Adam Hochschild, “Schatten über dem Kongo“, Rheinbeck bei Hamburg, 2002, Orginaltitel: “King Leopold´s Ghost”, http://www.perlentaucher.de/buch/643.html). Wie dem auch immer sei, kein ernsthafter Mensch kann den “industriellen Charakter” des Nazistischen Vernichtunswahns bestreiten und an dieser Stelle steht die “Einzigartigkeit” zu Recht unangefochten da. Um so erstaunlicher, dass nun gerade der mediale Mainstream auch bezogen auf die Einzigartigkeit der Systematik willig die Parallele zwischen den Ruandischen Geschehnissen und dem Holocaust zu ziehen bereit war, und in das Horn stieß, die Hutus zu “tropischen Nazis” umzustilisieren und von “Nazisme Tropical” (Jean-Pierre Chrètien in Libération am 26. April 1994) zu sprechen. dazu wurde in großem Maßstab ein durchgängiges Völkermordkonzept seitens der Hutu konstruiert. Dass ein unterschwelliger Rassismus dabei die in der europäischen “Denke” lauernde “Höherwertigkeit” der “edlen Tutsi” begierig aufgegriffen haben mag, wäre eine Parallele zu geschichtlichen Umdeutungsversuchen des Faschismus´ als “Unterschicht-Phänomen” von Sozialneid und Unterschicht-Dumpfheit (zu Gunsten der den Faschismus benutzenden “arischen” Kapitalisten). „Nützlich“, dass so eine bewusste Fehldeutung auch immer wieder als Argument gegen mehr direkte Demokratie genutzt werden kann. Dies muss man als weiteren Holocaust-Missbrauch ansehen, der sich noch dazu dadurch auszeichnet, dass er bezüglich der Mehrzahl der Opfer-Zuordnung auch noch ein grausamer „Fake“ ist. Das US-Imperium zeigte wieder einmal das Fehlen jeder moralischen Grenze! Zur „Befestigung“ des Narrativs wird auch die deutsche Justiz „eingebunden“, so z. 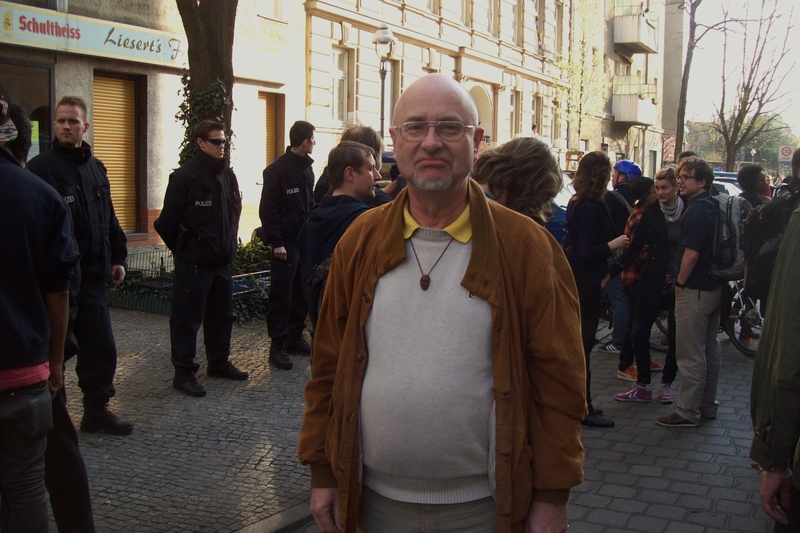 B.: Am Oberlandesgericht Frankfurt/Main fand seit Januar 2011 der Prozess gegen Onesphore Rwabukombe aus Ruanda statt. Ihm wird vorgeworfen, als Bürgermeister einer Gemeinde für zahlreiche Opfer während des Völkermordes in Ruanda 1994 mit verantwortlich zu sein; er wurde auf einen Haftbefehl der ruandischen Justiz hin in Deutschland festgenommen. Herr Rwabukombe lebt mit seiner Familie seit 2002 in Deutschland. Letzten Monat wurde er schuldig gesprochen und zu langer Haftstrafe verurteilt, obwohl dem Gericht bekannt sein musste, dass „Zeugen“ und ihre Familien Repressionen in Ruanda zu befürchten haben. Es ist zu wünschen, dass in einem Berufungsverfahren die völlig unsicher Beweislage berücksichtigt wird. Tatsächlich ist der Verurteilte vielmehr ein „störender“ Zeuge der RPF-Überfälle im ruandischen Grenzgebiet Anfang der Neunziger Jahre. Aber die deutsche Justiz reagiert wahrscheinlich reflexmäßig konditioniert, „Täter“ eines „Genozids“ müssen verurteilt werden, egal, ob sie wirklich Täter sind! Gern wird in Mainstream-Medien Ruanda als Musterland präsentiert (die Verbannung von Plastiktüten tut auch „grünen Herzen“ wohl), dass bezüglich der städtischen Schichten durch die Schleusung der kongolesischen Reichtümer (die an Ruanda hängende Warlords dort duch organisierte Sklavenarbeit gewinnen) erheblicher Wohlstand entsteht, mag stimmen, aber um welchen Preis? In Trauer mus man der Million von Opfern der Verbrechen in Ruanda vor 20 Jahren gedenken! Aber den verdrehten Narrativen muss man entgegentreten. Man darf nicht zulassen, dass ein Teil der Opfer der Ereignisse dazu missbraucht wird, die noch zahlreicheren Opfer unter den ruandischen Hutu zu verdecken, dass die Tutsi-Opfer dazu missbraucht werden, die Abermillionen Opfer der ruandischen und ugandischen Regierungen im Kongo zu zudecken, oder missbraucht werden, die Haupttäter des Dramas zu verbergen! STOP RACISM! 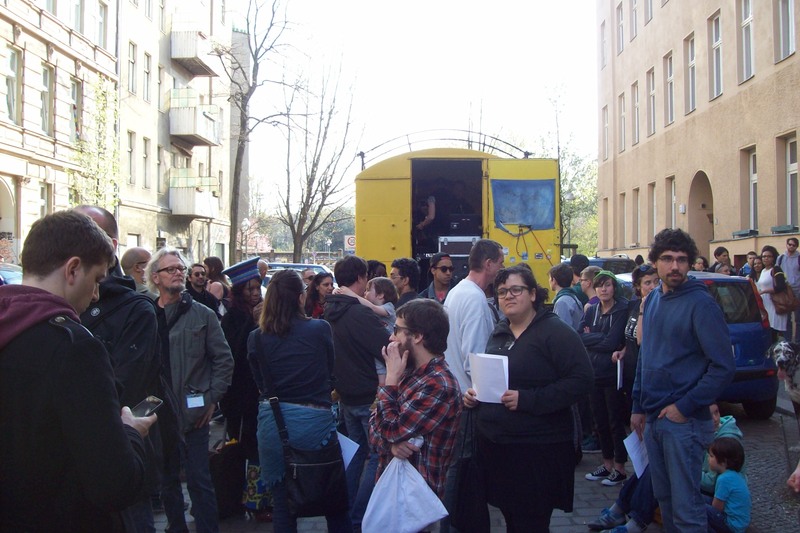 Apartheid in Berlin! 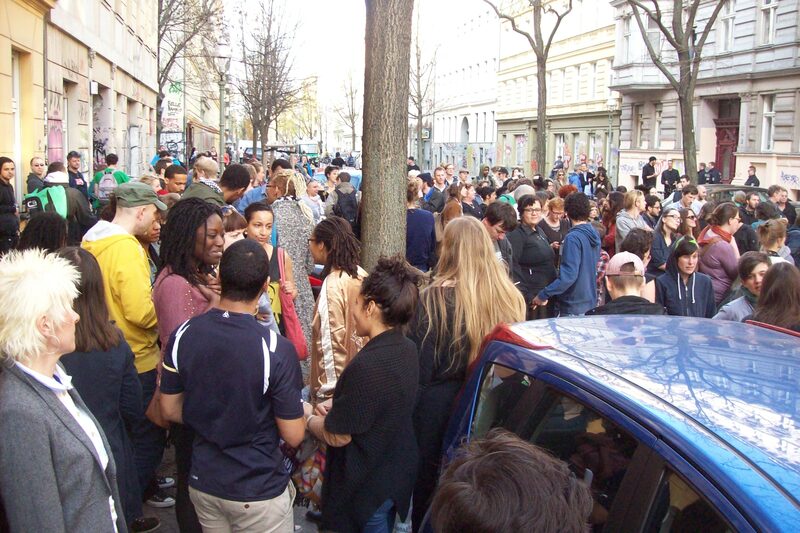 Unbelievable what happened in a quarter of Berlin being famous for its multitude and cultural pluralism! 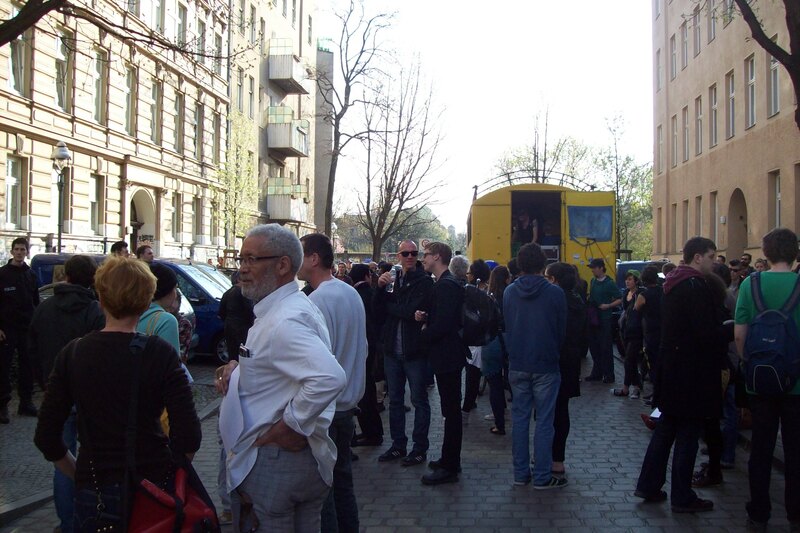 In „Kreuzberg“ the owner of a pub bared his place for Black people – „because of the many drug dealers in nearby Görlitz Park“ – thus equating „black = Dealer“! 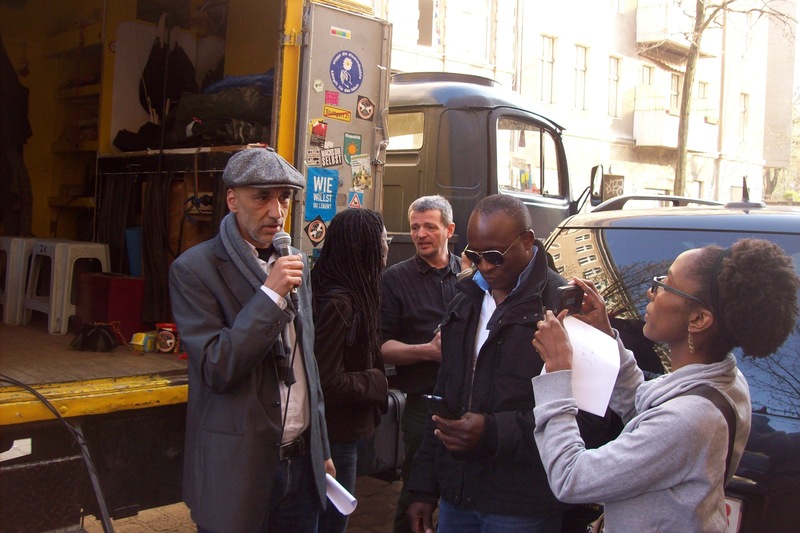 Africans, Black Germans, friends of the community and socially minded people gathered. Angry and also very moving words were spoken making clear that if young desperate Africans see no other chance than dealing it does not mean that this is „African“ or representative for „being Black“ and moreover it has to do with their exclusion from society as well as with the terrible situation Africa has been brought in by the West! Univocal the clear message was to be heard: we´re not ready to swallow this! And: finally this incident is only a symptom of institutionalized racism! And one thing must be clear: as insulting as this despisable incident is, since open racism having struck this multicultural community, even more dangerous is the misery which the „Human Rights Wars“, the new Colonial wars and manipulations by the US led West bring to Africa! The German War Minister von der Leyen announcing „more support“ for Western interventions in Africa is fueling that racism by giving the message, Africans have to be „taken care of“. There lies the broad foundation of the new old anti-black racism! disgusted by the Case! The Author as well!